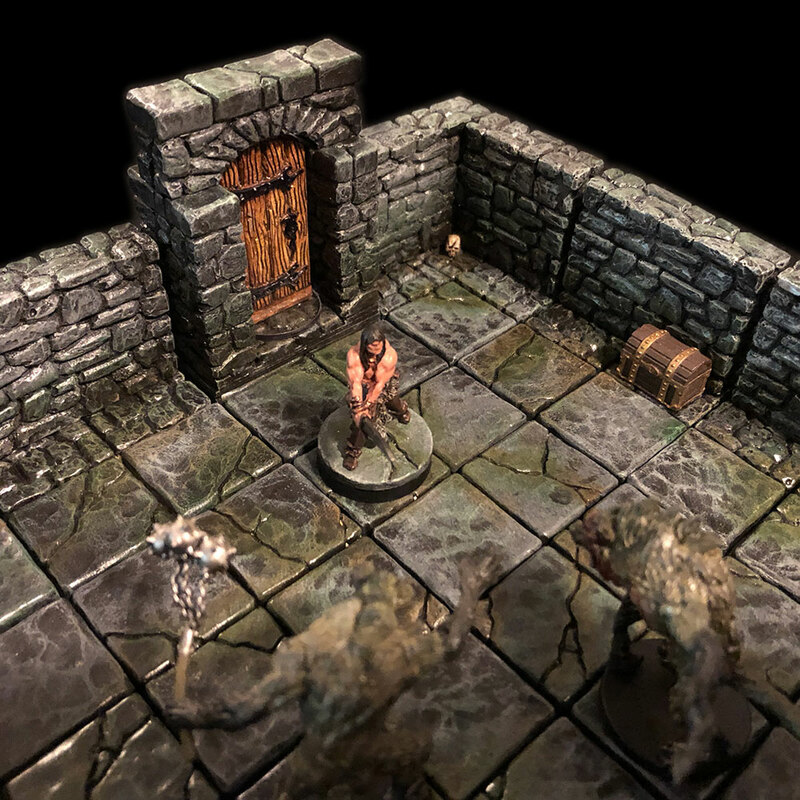 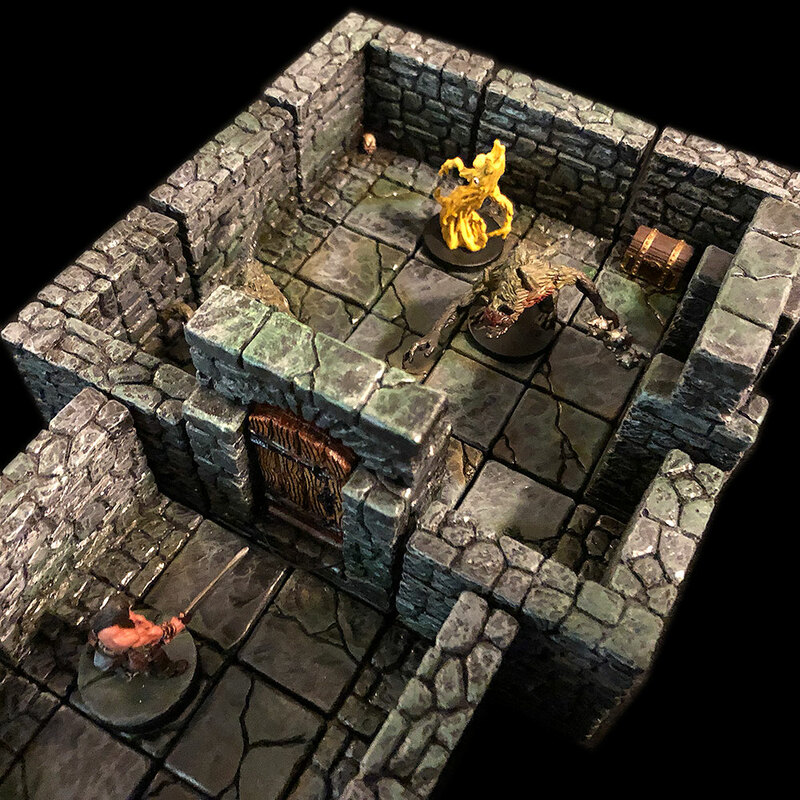 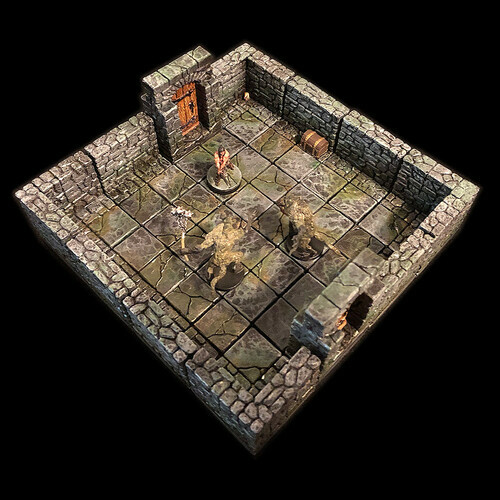 Exquisitely hand crafted, meticulously painted and varnished modular 3D Dungeon Tiles for your tabletop RPG of choice. 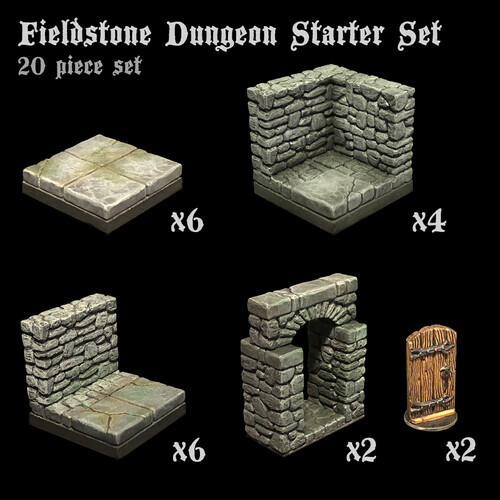 The starter pack has 20 pieces in a fieldstone style to get you started on your adventures, you can add other sets or purchase individual items as you go! 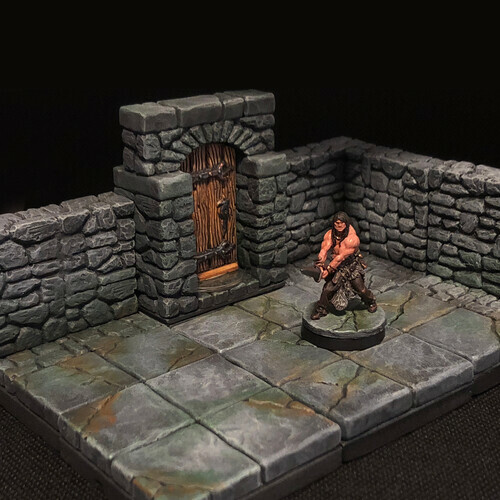 Made from durable HYDROCAL™ Dental Stone and based on XPS foam to protect your playing surface and prevent tiles slipping. 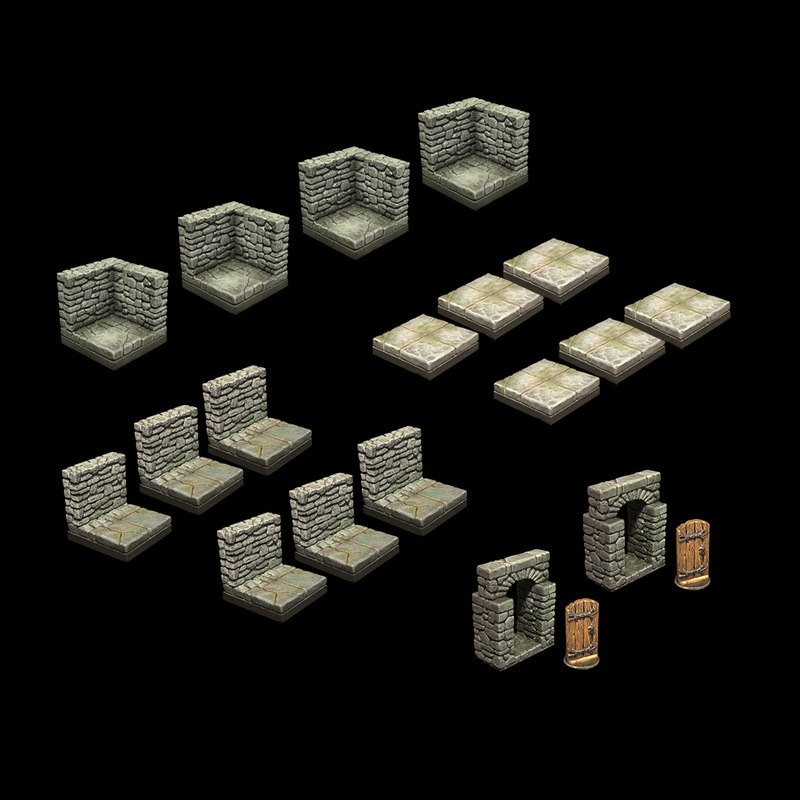 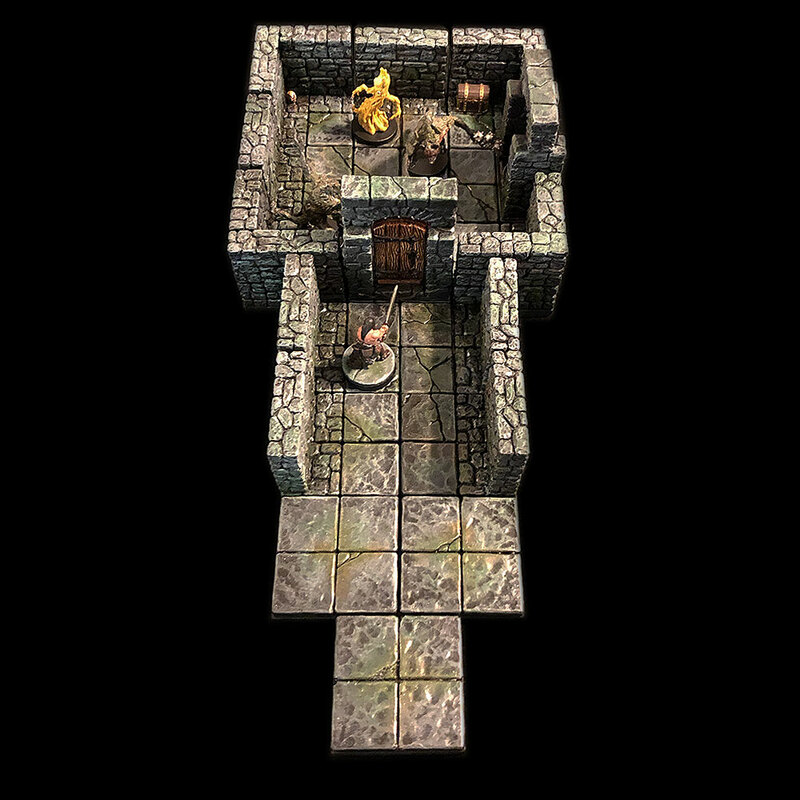 Tiles are based on a 2"x2" base, standing 2" high, and compatible with other 2"x2" dungeon tile brands. Perfect for your next Dungeons & Dragons, Pathfinder, Warhammer Age of Sigmar, Lord of the Rings or Frostgrave game!